Last year, an ed tech startup called Desmos faced a curious conundrum –classrooms using its math app grew quiet, too quiet. The hush was troubling, because students learn a lot from debating ideas, sharing feedback and collectively exploring big questions. 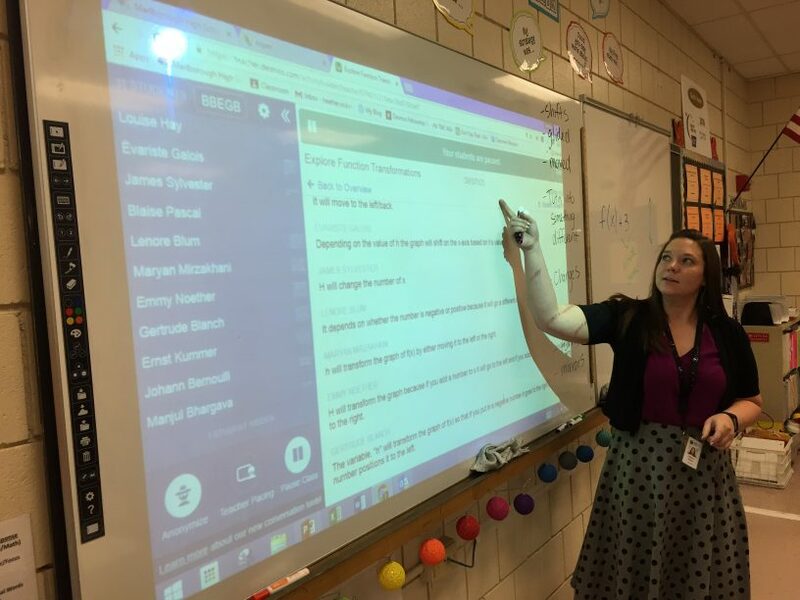 So, this fall, the company added three new features, dubbed the “Classroom Conversation Toolset,” to let teachers pause the app classroom-wide, snap every computer to a particular screen, and cloak student identity to anonymously share answers with the entire class. In doing so, Desmos joined a handful of other startups using tech to boost student interaction and class discussion, so that in the rush to personalize learning we don’t lose the benefits of learning together. ← What does it take to make an innovative school?